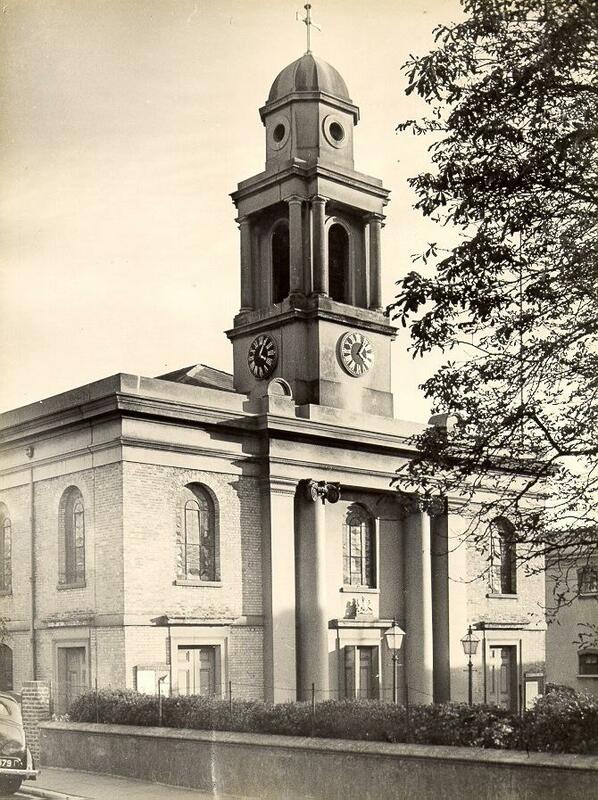 Kemp Town’s main street was developed principally in the 1830s and ’40s, and is named from St George’s Church. 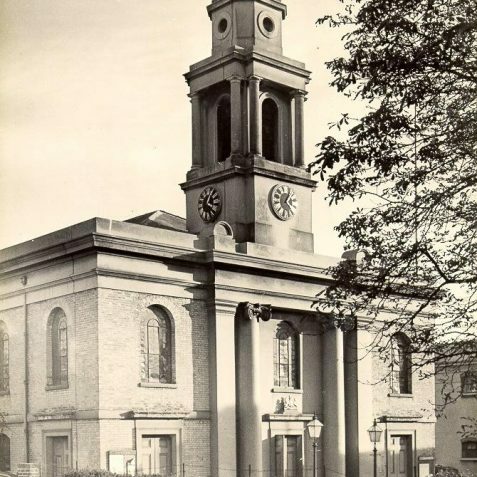 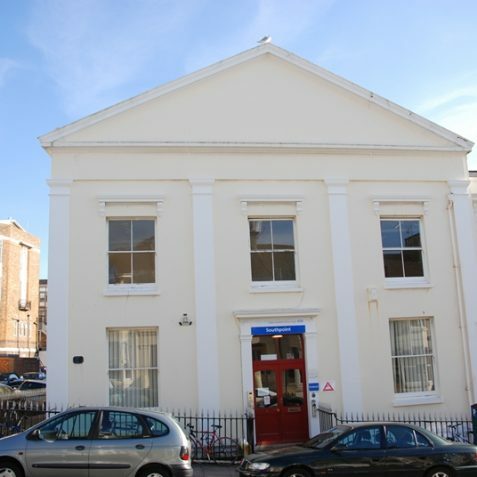 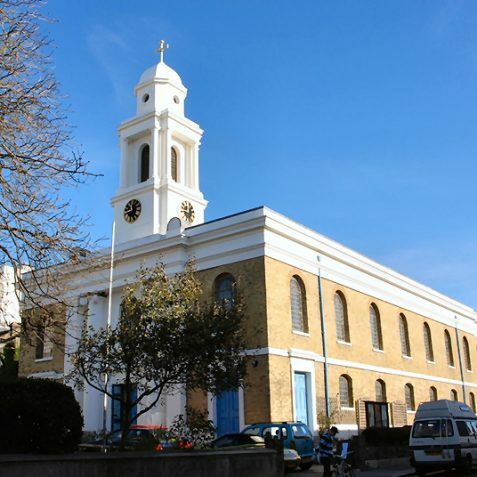 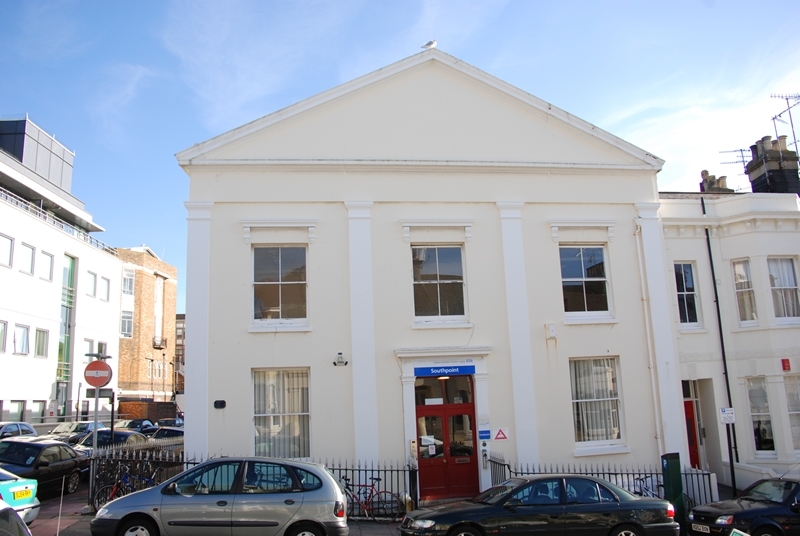 a) CHURCH OF ST GEORGE THE MARTYR : This attractive church was built in 1824-5 by architect Charles Busby for T.R.Kemp to serve the new estate at Kemp Town , and was consecrated on 30 December 1825, opening to the public the following day. 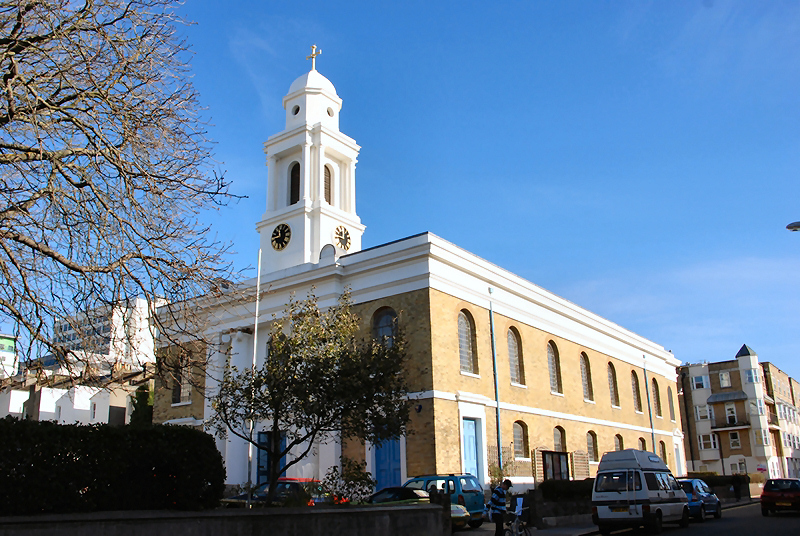 It is an elegant, classical, listed building in yellow brick, with a recessed Ionic portico and a Grecian bell-tower surmounted by a cupola and gilt metal cross. 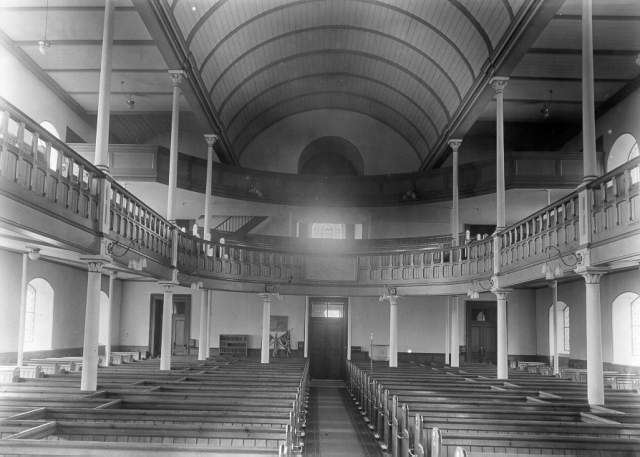 In front of the doorway are a pair of original lamps. 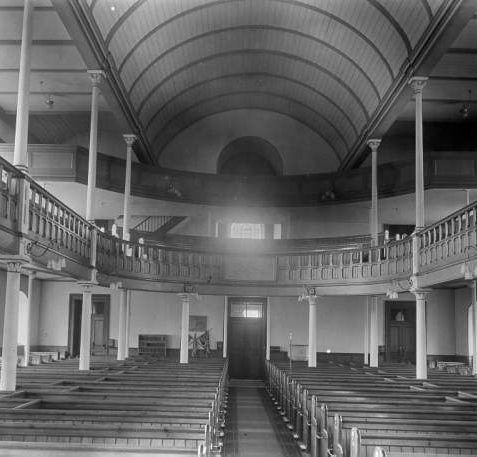 Considerable internal alterations were made in 1889-90 when the chancel was added and new columns were fitted to the galleries.